When out with my dogs I am always having to carry some short of baggie to pick up their poo, but I never put much thought into, one how much I am spending on the bags for their poo and two how much waste besides their natural waste I am really adding to the already growing problem. Houndscoop is a woman owned earth conscious pet waste products company which is based no other than in my backyard......south FL. Houndscoop is committed to providing high quality products at affordable prices. Houndscoop® designs and distributes brands that make an impact on today’s desire for sophisticated style and greener living. Using sustainable materials and practical designs, we put products on this planet that make this world a better place to live for individual pet owners, municipalities, private communities and more. 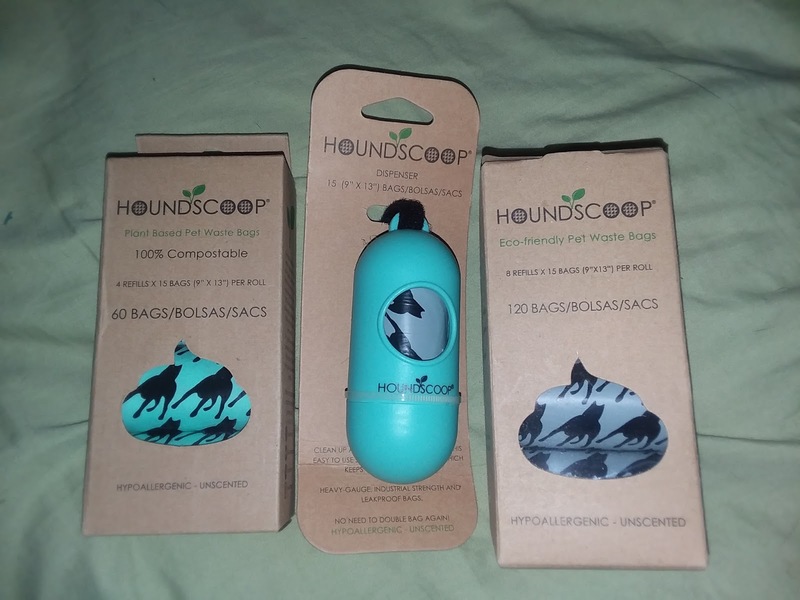 Houndscoop has found a way to make your poo bags good for everyone. They are a first to be compostable! Which means you can take your dogs poo tie it up and trash it in your own natural compost heap, which if you don't have a compost heap you know your dogs dropping will do no harm. HOUNDSCOOP®'s line of plant-based pet waste bags meet ASTM-D6400 guidelines which means they are 100% compostable in commercial municipal facilities that accept pet waste. These bags are made from renewable resources such as corn, vegetable and plant starches. Why pick up after your dog with a plastic bag that will sit in a landfill for hundreds of years? HOUNDSCOOP® is proud to offer you the ultimate eco-solution. 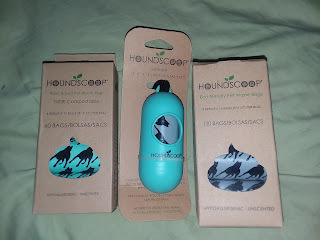 HOUNDSCOOP® Saving The Planet One Bag At A Time!™ What a great way to clean up poo and give back to the community by keeping more plastic out of the landfills. You can purchase Houndscoop on their website here and on Amazon.